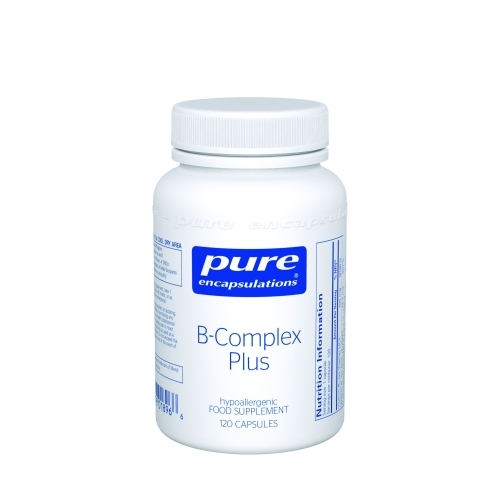 A broad and concentrated combination of all the B vitamins, including biotin, folate and inositol. The B vitamins contribute to a wide range of crucial functions in the body. these include: the conversion of carbohydrates into energy; the metabolism of fats and protein; healthy homocysteine metabolism; support of the immune system and maintaining healthy psychological function. This balanced combination of functionally interrelated B vitamins provides wide ranging benefits, yet is specifically supportive of the nervous system. If you are pregnant or lactating, have any health condition or are taking any medication, consult your healthcare professional before use. **1 capsule provides the recommended dose for pregnant or lactating women.